North Korea’s economy contracted at the sharpest rate in two decades in 2017, South Korea’s central bank estimated on Friday, in a clear sign international sanctions imposed to stop Pyongyang’s nuclear and missile programs have hit growth hard. 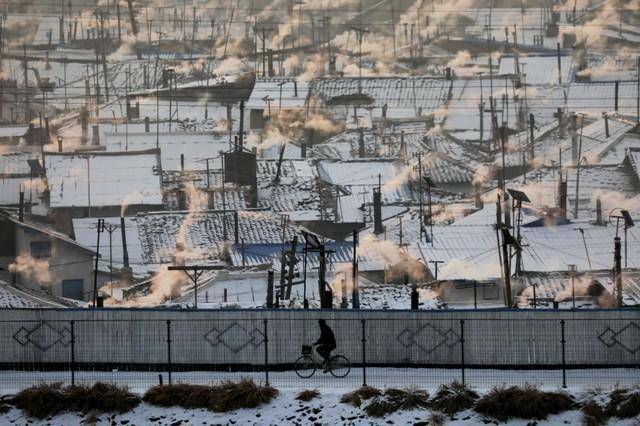 Gross domestic product (GDP) in North Korea last year contracted 3.5 percent from the previous year, marking the biggest contraction since a 6.5 percent drop in 1997 when the isolated nation was hit by a devastating famine, the Bank of Korea said. Industrial production, which accounts for about a third of the nation’s total output, dropped by 8.5 percent and also marked the steepest decline since 1997 as factory production collapsed on restrictions of flows of oil and other energy resources into the country. Output from agriculture, construction industries also fell by 1.3 percent and 4.4 percent, respectively. “External trade volume fell significantly with the exports ban on coal, steel, fisheries and textile products. It’s difficult to put exact numbers on those but it (export bans) crashed industrial production,” Shin said. The steep economic downturn comes as analysts highlight the need for the isolated country to shift toward economic development. North Korean leader Kim Jong Un in April vowed to switch the country’s strategic focus from the development of its nuclear arsenal to emulating China’s “socialist economic construction”. “As long as exports of minerals are part of the sanctions, by far the most profitable item of its exports, Pyongyang will have no choice but to continue with its current negotiations with the U.S. (to remove the sanctions),” said Kim Byeong-yeon, an economics professor at the Seoul National University with expertise in the North Korean economy. China, its biggest trading partner, enforced sanctions strictly in the second half of 2017, hurting North Korea’s manufacturing sector. Beijing’s suspended coal purchases last year cut North Korea’s main export revenue source while its suspended fuel sales to the reclusive state sparked a surge in gasoline and diesel prices, data reviewed by Reuters showed earlier. “This year will be a lot worse. Shrinking trade first hits the Kim regime and top officials, and then later affects unofficial markets,” said Kim at Seoul National University, adding that a reduction in tradable goods would eventually decrease household income and private consumption. North Korea’s black market, or Jangmadang, has grown to account for about 60 percent of the economy, and is where individuals and wholesalers buy and sell Chinese-made consumer goods or agricultural products, according to the Institute for Korean Integration of Society. The BOK uses figures compiled by the government and spy agencies to make its economic estimates. The bank’s survey includes monitoring of the size of rice paddy crops in border areas, traffic surveillance, and interviews with defectors. North Korea does not publish economic data.